This quick Feta Cheese Vinaigrette is perfect on hearty salad greens, drizzled over grilled vegetables, or even as a sauce for broiled or grilled chicken. Feel free to add crumbled or minced herbs to this dressing - oregano, basil, thyme, and rosemary are all a good fit and make it a new dressing every time. 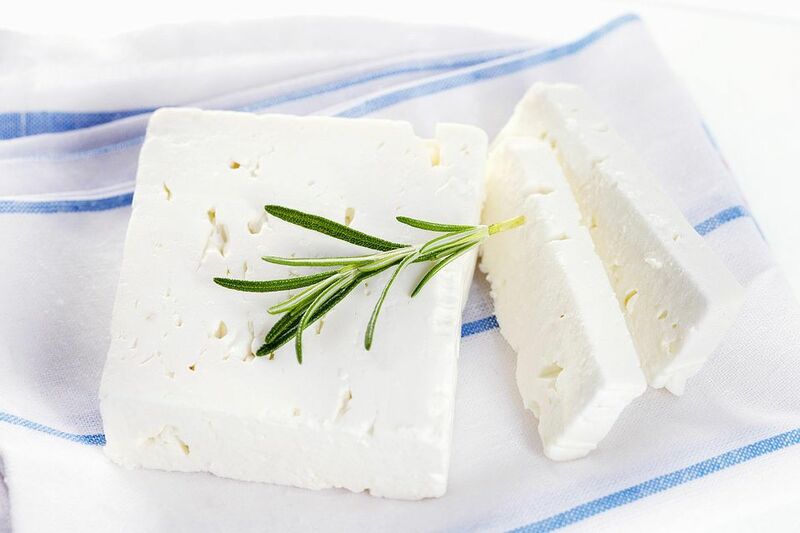 Whirl the feta cheese, olive oil, and red wine vinegar in a blender or food processor until smooth. Alternatively, put the feta and 1 tablespoon of the oil in a small bowl and use a fork to mash it into a paste. Work the remaining olive oil into the cheese 1 tablespoon at a time. Then stir in the vinegar. Add salt and pepper to taste. Roughly ground or cracked black pepper is excellent in this dressing -- the pungency of the pepper and the saltiness of the cheese are a match made in heaven. The vinaigrette will keep, covered and chilled, for up to a week. Add a small clove of peeled, minced garlic to the mix. Change it up with herbs: Use about 1/2 teaspoon dried oregano or thyme, 1/4 teaspoon dried rosemary, or 1 teaspoon minced fresh basil to make a different dressing every time. Fresh dill (1 to 2 tablespoons) is lovely, too, especially if the dressing will be getting anywhere near cucumbers. Try white wine or champagne vinegar instead of red wine vinegar. Sherry vinegar adds an even more intense depth, while lemon juice will keep the dressing bright. Tame the intense flavor of this dressing by adding more olive oil or stirring in up to 1/4 cup heavy cream.